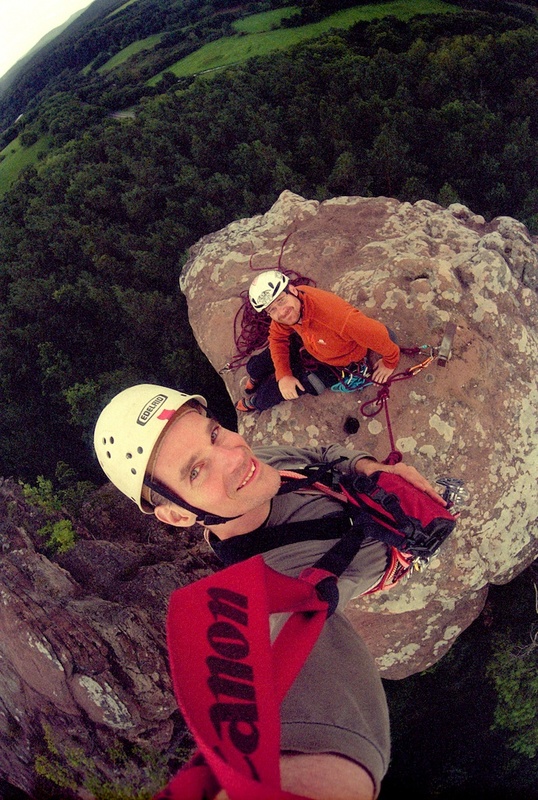 Hochstein-Nadel in the Pfalz, with friend Matze. 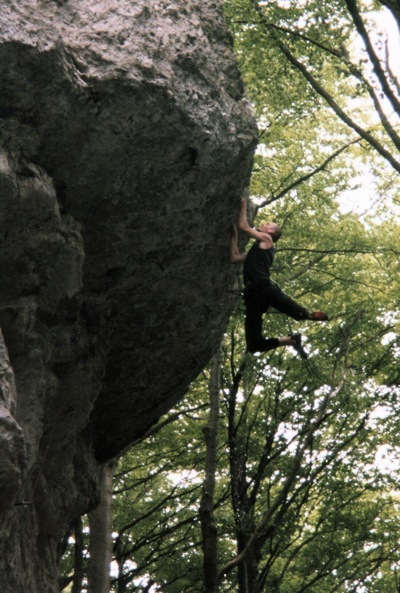 Thanks to my friend Robert, I ended up on the cover of German freeclimbing "Klettern" magazine. Yeah, it's a fake, but certainly a very good one. Belay was with tons of slack, due to the crux being just above the lip of the roof. I took a lot of falls from there while attempting the route, and wasn't able to complete it on that day. Another highlight has been the climb "Tufa Big" on the Island Majorca, Cala Magraner, french-graded 7b+. (Few people know that Majorca is a brilliant venue for climbing as for mountain hiking!) Maybe my hardest climb ever, I tried it on my 31st birthday, and managed to do it after many attempts all on that day. It was already nearly completely dark when I succeeded in the crux, and I swear that I have never had a more patient belayer than friend Erik that day. We just kept going.